Joint and bone health supplements include supplements to support normal bone and joint health; and MSM supplements and sulfur supplements and powder. Why Joint and Bone Health Supplements? How does Sulfur and MSM Build Healthy Joints and Bones? 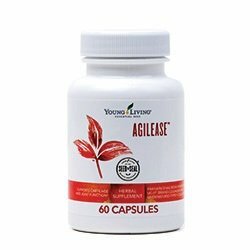 Type II collagen, glucosamine sulfate, manganese citrate, Methylsulfonylmethane or MSM has been shown to support healthy cell function and support healthy joints. Why Use these Supplements for Animals? Because animals can also reap the benefits of essential oils. Sulfurzyme and BLM supplements come in powder and capsule form, easy to add to your animals food. My horse eats BLM out of my hand! For dogs and cats best to use BLM capsules (don't contain Xylitol - powder does). Also check out supporting healthy body systems for bone and muscle support! For all your nutritional and essential oils needs, visit The Oil Shop!